Effie Worldwide released the global results for the 2016 Effie Effectiveness Index—the foremost ranking in the marketing and advertising industry— listing the most effective marketers, brands, agency holding groups, agency networks, agency offices and independent agencies around the world. The most significant movement was within the agency networks ranking, with Ogilvy & Mather moving from third to first place, reclaiming the top slot that it has held for three out of six years since the Effie Index was established. The agency’s holding company, WPP, has held its lead as the top agency holding company for five consecutive years (Omnicom topped the inaugural Effie Index in 2011). The Effie Index recognizes the companies that create the most effective marketing communications ideas from around the world, determined by their success in more than forty national, regional and global Effie Award competitions. Companies ranked highest in the 2016 Effie Index include The Coca-Cola Company (marketer) and Coca-Cola (brand), WPP (agency holding group), all holding fast to the top slots they earned in 2015. Ogilvy & Mather topped the agency network rankings, unseating BBDO Worldwide who, like Ogilvy & Mather, has enjoyed the success of top ranked agency network three out of the Effie Index’s six years. McCann’s FP7/DXB (Dubai) is the most effective individual agency office globally, and Budapest’s ACG Advertising Agency is once again the most effective independent agency (they previously ranked first in 2014). The 2016 Effie Index global rankings are compiled from over 3,000 finalists and winning entries from worldwide Effie Awards competitions that announced finalists/winners between January 1, 2015 and December 31, 2015. To review all worldwide, regional and national rankings visit www.effieindex.com. The top five most effective marketers in the world, according to the Effie Index are: The Coca-Cola Company, Unilever, Procter & Gamble, Nestlé and PepsiCo (all but Nestlé held the same place in 2015). The top five most effective brands in the world are: Coca-Cola, Vodafone, McDonald´s, Samsung and Movistar. Samsung made its debut into the top five for the first time. All other brands in the top five held their spots from 2015. The top five most effective agency holding groups in the world are: WPP Group, Omnicom, Interpublic (IPG), Publicis Groupe and Dentsu Aegis Network. All holding companies held the same positions as 2015, with Dentsu Aegis taking the place held by Havas for the past 5 years. The top five most effective agency networks in the world are: Ogilvy & Mather, BBDO Worldwide, McCann Worldgroup, MullenLowe Group and DDB Worldwide. In 2015, BBDO Worldwide ranked first, followed by McCann Worldgroup, Ogilvy & Mather, Lowe & Partners (now MullenLowe Group) and Young & Rubicam. The top five most effective individual agency offices in the world are: FP7/DXB (Dubai, UAE), Ogilvy & Mather (Mumbai, India), Sancho BBDO (Bogota, Colombia), ACG Advertising Agency (Budapest, Hungary) and tied for fifth place are Ogilvy & Mather (New York, USA) and MullenLowe Lintas (Mumbai, India). The top five most effective independent agencies in the world are: ACG Advertising Agency, (Budapest, Hungary), Güzel Sanatlar (Istanbul, Turkey), MINT (Dubai, UAE), Droga5 (New York, USA) and Wieden+Kennedy (Oregon, USA). This is the first time Droga5 ranked among the top five Independent agencies on a global level, and a return for Wieden+Kennedy who last made the global Effie Index top five in 2012. 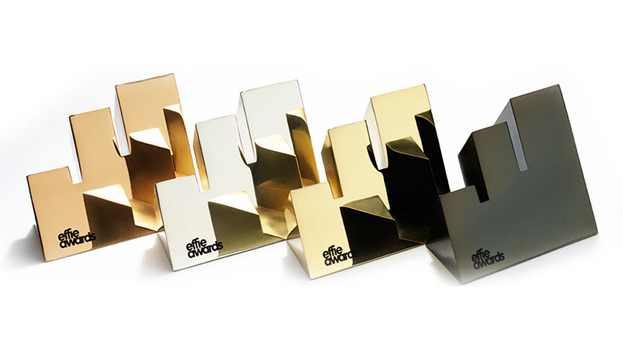 The Index is constructed by converting every Effie award and finalist into points – twelve for a Grand Effie, eight for Gold, six for Silver, four for Bronze and two for a finalist (with contributing agencies receiving half these points). Every brand and company ranked in the Effie Index has undergone rigorous evaluations of their case studies and work by expert industry judges to prove that their marketing achieved compelling results. Unilever (marketer), McDonald’s (brand), WPP Group (agency holding group) Ogilvy & Mather (agency network), Ogilvy & Mather Mumbai (agency) and Socialab – Beijing (independent agency). Unilever (marketer), Vodafone (brand), WPP Group (agency holding group), Young & Rubicam (agency network), ACG Advertising Agency in Budapest (both agency & independent agency). The Coca-Cola Company (marketer), Coca-Cola (brand), WPP Group (agency holding group), BBDO Worldwide (agency network), Sancho BBDO – Bogotá (agency) and a tie between El Almacén (Buenos Aires) and Only If (Mexico City) (independent agency). The Coca-Cola Company (marketer), Emirates NBD (brand), Interpublic (agency holding group), McCann Worldgroup (agency network), FP7/DXB – Dubai (agency) and MINT – Dubai (independent agency). Procter & Gamble (marketer), IBM (brand), WPP Group (agency holding group), Ogilvy & Mather (agency network), Ogilvy & Mather New York (agency) and Droga5, New York (independent agency).